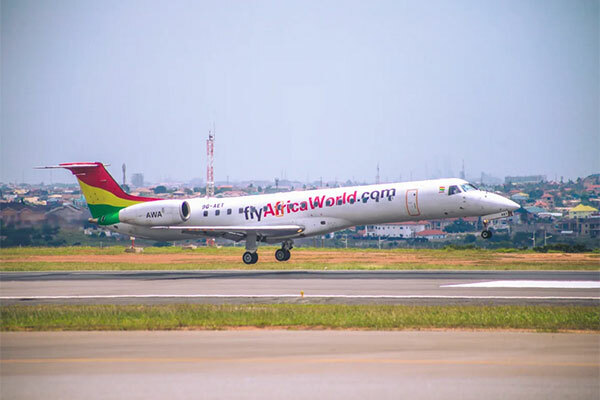 Emirates, the world’s largest international airline, and Africa World Airlines (AWA), the Ghanaian airline headquartered in Accra, have announced a one-way interline agreement whereby Emirates customers can connect onto selected routes of Africa World Airlines’ network from May 2019. Emirates passengers can choose from seven weekly flights from Dubai to Accra until June 2, 2019, when Emirates will increase services on the route to 11 weekly flights. Between Dubai and Accra, Emirates operates the Boeing 777-300ER, one of the most technologically advanced and efficient aircraft in the world. The aircraft’s advanced wing design, efficient engine and light structure makes more efficient use of fuel. This means significantly less emissions than similar aircraft, making it one of the most 'green' long range commercial aircraft types. Passengers in all cabin classes can enjoy Emirates’ award-winning entertainment on ice – the airline’s inflight entertainment system that offers 4,000 channels of in-flight entertainment. Customers will also enjoy complimentary beverages and regionally inspired meals, as well as the warm hospitality of the airline’s multi-cultural cabin crew. Passengers can also stay connected to family and friends during the flight with up to 20 MB of complementary Wi-Fi.